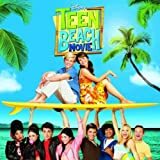 Accueil Bande originale Paroles Chansons Oxygen – Paroles de la chanson dans “Teen Beach Movie”. Oxygen – Paroles de la chanson dans “Teen Beach Movie”. Sortie : 16 Juillet 2013. Baby tell me, is this good for you ? Cause for me, it’s a dream come true. I think about you boy day and night. If this is wrong, I don’t care if I’m right. Boy I’m not hurtin’ for inspiration. And I feel when we’re together. It could be forever and ever and ever. I wanna be the ocean to your shore. I wanna be the only thing you need. Be the oxygen you breathe. Is this as good as I think it is ? Cause right now I’m so into this. And there’s nothing more that I would ever ask for. Than to be with you, just to be with you. Cause one thing’s for certain. So baby bring it all to me. And I will warm you like the sun. I always knew you were the one.